i was raised by a barber...a good one. my pops is the barber that teaches barbers how to be barbers; so i know a good cut. they're hard to find. and near impossible for 5 dollars. thank god for this place. 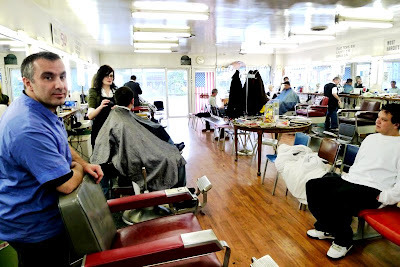 the dollar barber shop is managing to pull off the "old-school barber shop" feel that spots in new york and san fransisco are trying to duplicate now...without the effort. the interior is an eclectic mix of garage-sale-finds that works; a mash-up of mid-century modern and old-school classroom furniture. even the cutting chairs are mismatched in a good way. and then there's greg. he's the guy that made me a loyal customer. i like my cuts high and tight, and greg wields a pair of clippers like an artist. it took me years to find him, and i'm still hesitant to share him. he's that good. i chatted with the owner, who told me that when they opened, cuts were just $2...then $3...then $4...and now $5. so, basically, this place is inflation-proof. 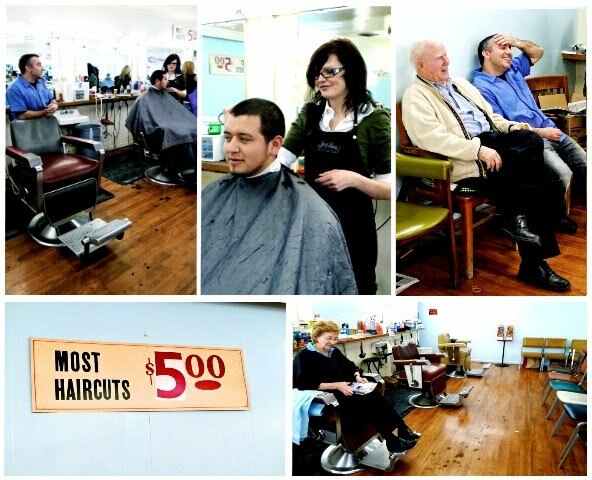 drop in and get the cheapest cool-barber-shop experience salt lake's got. 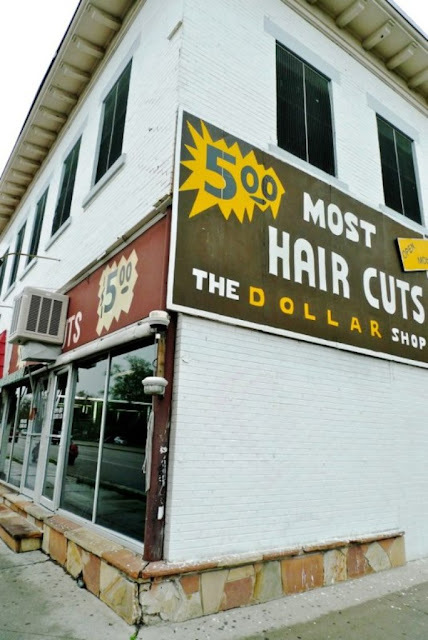 dollar barber shop. 679 south 700 east, salt lake city. 801.532.9177.